This year various animation festivals have been held across the country. Though in different regions, the content, management and marketing of the activities still linger. To realize the transformation of the animation festival, the shortage of regional features and professional talent should be taken into consideration. An animation festival is not children's day. It should reflect the characteristics of the city where it is held. It is an exchange platform for people in the animation industry, especially businessmen, experts and cartoonists. 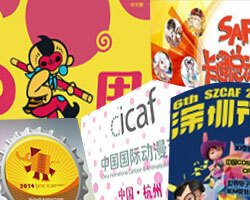 That the attention is completely put on the young consumers is a common misunderstanding of China’s animation festivals. The festival is not only a simple activity, but also a cultural festival to promote the brand of the city. To build a high-profile of a city under the name of animation, the content of the festival needs to be consistent and more creative and has a clear topic. The festival should capitalize on the capability of local animation companies and sources of colleges to accelerate the construction of the animation brand. The festival in turn will provide an exchange platform for the companies and drive colleges to study animation further. The committee of the animation festival should invite professional curators to organize the animation exhibition.The curators are different from animation marketers. The former should have a good knowledge of local animation-related policies, companies, talents and consumers. They should know how to communicate with sponsors, artists and media. Only competent curators can promote the creation of an animation brand.